Submissions for the Trauma Aware Schooling 2019 Conference are now closed. Please use the applicable template for your preferred submission type. Please click here for the abstract template, please be sure to upload your abstract as in a .doc or .docx format. 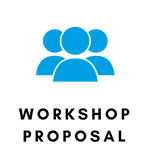 Please click here for the workshop proposal template, please be sure to upload your abstract as in a .doc or .docx format. 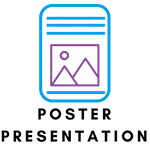 Please click here for the poster presentation overview template, please be sure to upload your submission as in a .doc or .docx format. Submissions close 8 March 2019. Please rename the abstract submission file to the presenting author’s surname, prior to upload. E.g. ‘Smith.doc’. Accepted research presentations will be allocated 20 -25 minutes presentation time, including 5 minute question time. Accepted workshops will be allocated 50-55 minutes presentation time, including 5 minute question time. Accepted posters should be printed in portrait orientation on A0 size (841mm wide x 1189mm high) paper. Pins to display the posters on poster boards will be provided by the Conference Organisers. 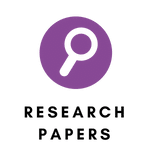 Presenters may opt to present a poster using several smaller sized papers, but they will still be limited to display space equivalent to that of a portrait orientation A0 sheet. Should you have another idea in mind please email us at traumaconf@qut.edu.au. Please note: All accepted submissions must have at least one author registered to attend the conference. Some workshops may be run twice to allow delegates to attend multiple workshops.